AS LOW AS: $43.83/box after mail-in rebate - details below!!! 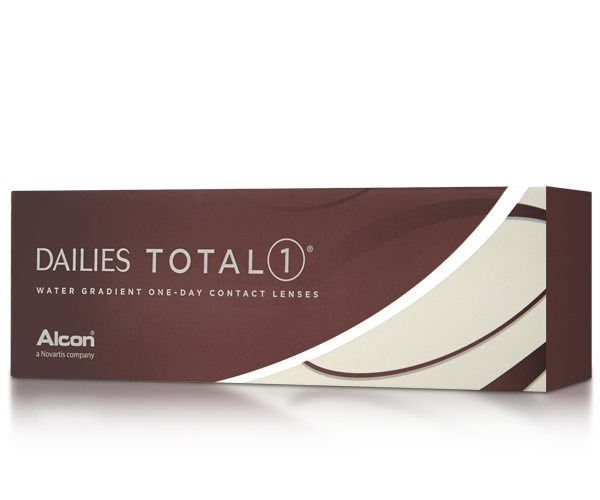 Specifically designed to address contact lens discomfort, DAILIES TOTAL1 Water Gradient Silicone Hydrogel (SiHy) contact lenses are the first daily disposables to more than double water content from core to surface. This means your contacts will breathe more giving you longer-lasting comfort throughout the day.